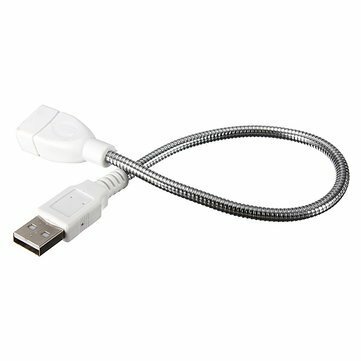 USB metal hose, free bending, 2-core, positive and negative power supply. Widely applicable for mobile power, laptop, USB charger installation of small lights. Easy assembly of a small lamp, ideal for lights used as a desk lamp USB keyboard lamp.